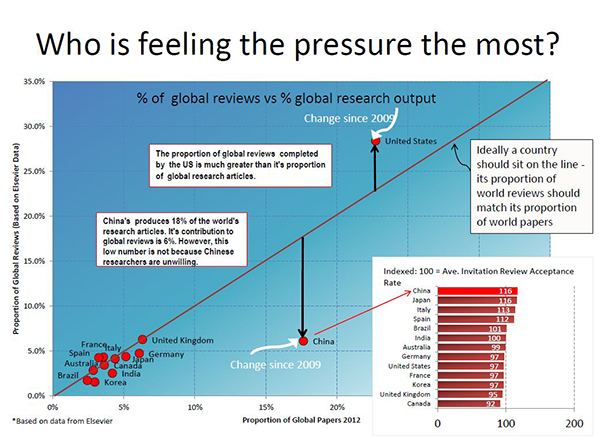 The contributors to this article, Adrian Mulligan and Dr. Joris van Rossum, recently hosted a webinar The peer review landscape – what do researchers think?. The archive version is now available to view. As outlined in the article How we can better support and recognize reviewers in Reviewers' Update Issue 18, for some time now, editors of 600 Elsevier journals have been able to suggest alternative journals to an author whose paper they have just declined. If the author agrees to submit to the new journal, any completed reviews can be transferred along with the paper.